Join us for a conference on how the First World War has been remembered over the past 100 years. Hear from an international panel of experts and learn more about how and why we remember. 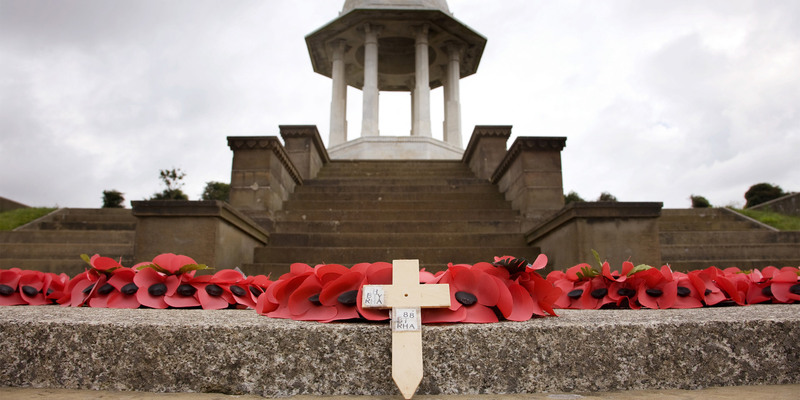 The past four years have seen an upsurge of interest in the First World War. How has the centenary period transformed, or challenged, how we remember those who fought in the conflict, and how does that vary across the world? Our panel of experts will be looking at how the conflict has impacted the different countries that participated, and the outcomes of the centenary activity. It will raise questions about who we remember, how we remember, and what the legacy of the centenary will be. Our keynote speaker will be Sir Hew Strachan, Professor of International Relations at the University of St Andrews and Chair of the Commonwealth War Graves Commission's 2014-18 Committee. Keynote: Why Have We Commemorated the Centenary? This Scottish poppy, currently on display in Society gallery, dates from the early days of the Poppy Appeal.